We, Laxmi Ganapati Motars have been providing top quality Raw and Processed Agro Products to the market. Send Inquiry Pushpraj Crop StimulatorPROXIMA BIO-TECH PVT LTD.
Agrochemicals & Pesticides are chemical products used to boost agricultural growth. Agrochemicals refer to a broad range of pesticides such as insecticides, herbicides, and fungicides. These chemicals are highly effective and stable with a precise pH value and accurate composition. Owing to their great quality and effectiveness, these chemicals are in high demand in the agriculture industry, and are used to protect plants & crops from various pests like downy mild hew, quick wilt and blights root rot. Pesticides are also used to kill or inhibit pests, while the provided agrochemicals are made available in excellent quality packaging options to increase their shelf life. Additionally, these chemicals also increase the fertility of the soil and enhance the productivity of crops. The provided agrochemicals are processed with the use of optimum quality chemical substances by skilled professionals. The offered range of Agrochemicals on this page comprises of Agricultural Chemicals, Amino Acids, Wetting Agents, Organic Amino Acids, Agricultural Organic Amino Acid, Bio Larvicides, Bio Miticide, etc. Pesticides: Pesticide Agro Chemicals are used to keep away pests that cause damage or spread diseases to crops. Insecticides, herbicides, fungicides, rodenticides, and nematicides are some common Pesticides. Fertilizers: Fertilizers are chemicals (containing nitrogen, potassium, and phosphorus) that promote the growth of plants & crops. Soil Conditioners: Soil Conditioners nurture the quality of soil by enhancing its ability to hold onto water and oxygen, thus making it more fertile for agriculture. Liming and acidifying: Chemicals that neutralize the acidity or alkalinity of soil to make it fertile and conducive for the growth of crops are Liming (reduces acidity) or acidifying (reduced alkalinity) chemicals. Trade India is India’s largest B2B Marketplace that connects buyers and suppliers of Agrochemicals & Pesticides. On this page, you will find a list of prominent & trustworthy Agrochemicals suppliers, dealers, manufacturers, distributors, and exporters. 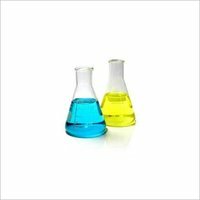 The Agrochemicals listed on this page are of optimum grade provided by only Trade India verified suppliers & manufacturers of Agrochemicals.